Fleas can make life a misery for both pets and their owners. Fleas are a bloodsucking parasite that can cause itchiness and rashes and in extreme cases can transmit diseases such as typhus and even the Bubonic plague! Fleas feed on warm blood and hence they can be found on household pets such as cats and dogs where they will comfortably reside in the animal’s fur for an extended periods of time. 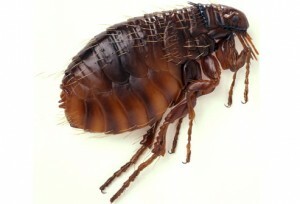 Fleas are hosted by animals, from whom they derive their nutrition, but can also live for months without food and it’s quite common for areas around pet activity (such as household carpets) to remain flea infested long after a pet has left the premises. The first thing Perth Pest Control technicians will perform is a thorough inspection not only inside premises, but also the exterior to determine if there is a flea infestation and the degree of its existence. Treatment would then be performed and this normally consists of specific sprays that would be administered to all susceptible areas such as skirting boards, in and around furniture, carpets and even grassed areas and garden beds. Backyard poultry roosts are not uncommon in Western Australia and along with these may come a special species of flea known as the Stickfast Flea. This is a flea that is hosted by chickens, geese, ducks as well as native birds. The Stickfast Flea will bury its head in the skin of a bird and quite happily reside there for months on end and if present on an animal, can cause great distress. The Stickfast Flea’s life cycle is dependent on soil and hence commercial poultry enterprises aren’t effected to any great extent due to concrete floors however in a domestic roost this is not always the case so awareness of this pest on your poultry does require consideration. Treatment involves a specific spray or dusts and Perth Pest Control can advise you on a suitable method for you. Finally, there sometimes exists a confusion between fleas and bed bugs in a common domestic situation as the resultant bites from both these pests can be similar. See our “Bed Bugs” section for more specific details on this pest. I suspect my daughter has been bitten by fleas from our dog. What do flea bites look like? Flea bites tend to be small yet quite distinctive. Once bitten, the body releases the chemical Histamine in reaction to the saliva introduced by the flea and this results in an itchy, small, red bump with a red halo around the centre. The bites tend to appear around (but not exclusively) ankles and legs and can form in straight lines. I seem to have either bed bugs or fleas in my bedroom, how can I tell the difference? Fleas and bed bugs have a similar brown colour and can be a similar size but the flea will have a flattened body (looking from the top) whereas the bed bug has more of an oval shape. The other noticeable difference is in their movements in that bed bugs can’t fly or jump . . . only crawl. Fleas, on the other hand, can leap quickly and high, sometimes up to 200 times their body length! Our pet dog died over 6 weeks ago yet I can still see some fleas appearing in the carpet now … how come? 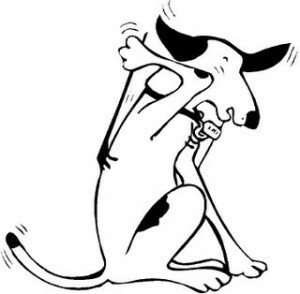 Yes, fleas need a host such as a cat or dog, from which they derive their nutrition. However, they can also live for several months without food so having them present, even after an animal has gone, isn’t uncommon. I’m vacating a rental unit and the real estate company I deal with says I need to get a professional flea treatment as part of my lease agreement . . . can you do this? Yes, we specialise in vacate bond flea treatments for tenants. We can provide this service quickly and with minimal inconvenience to you and as well, we offer a discounted price on this service. Upon completion, we will provide you with a payment receipt for you to give to your agent as part of your lease arrangement. Is there anything I need to do prior to your company performing a flea treatment? Yes, there are a few things you can do to make a treatment more effective. Firstly, vacuum clean all the carpets and scuff them with the back of a broom to remove eggs and stimulate dormant fleas (dispose of this vacuum waste immediately in a sealed bag). Also, vacuum upholstered furniture and hard floors. Next, give your pets a thorough flea treatment. Also, if you are having an external flea treatment, it would be advisable to mow the lawns and lightly water them 15 minutes prior to the treatment (but they shouldn’t be watered for 2 – 3 days after the treatment).